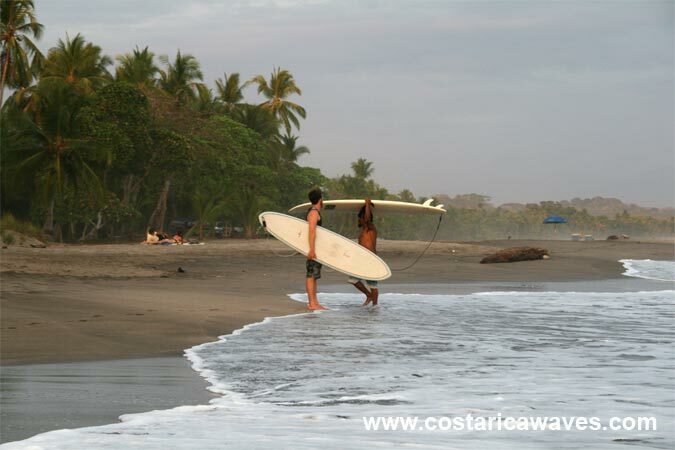 Esterillos Oeste is best surfed with swells from the South and the Southwest, during mid and high tide. 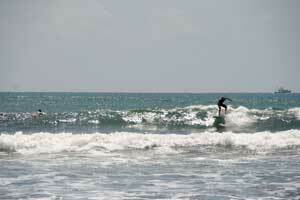 The waves usually built up slow and are not so steep. 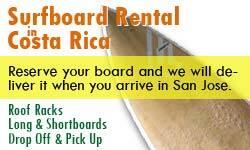 This is a good surf spot for longboarders. With bigger swells the waves start to get steeper. In 2008 a surfer was attacked by a crocodile while surfing, so have an eye on those "trunks"! He is ok again back out surfing. It is not common, but just that you know. Furthermore watch out for stingrays when walking into the water, their excellent camouflage can make them difficult to see. 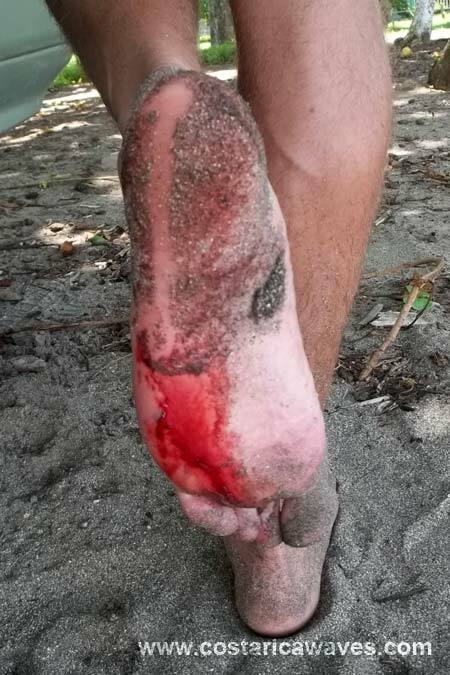 Stepping on a stingray is very painful, so better do the "stingray shuffle" when you get in or out of the water. 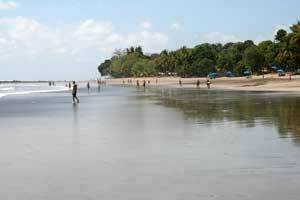 This is a nice beach to hangout and relax, because it offers a lot of shade below the palm trees. 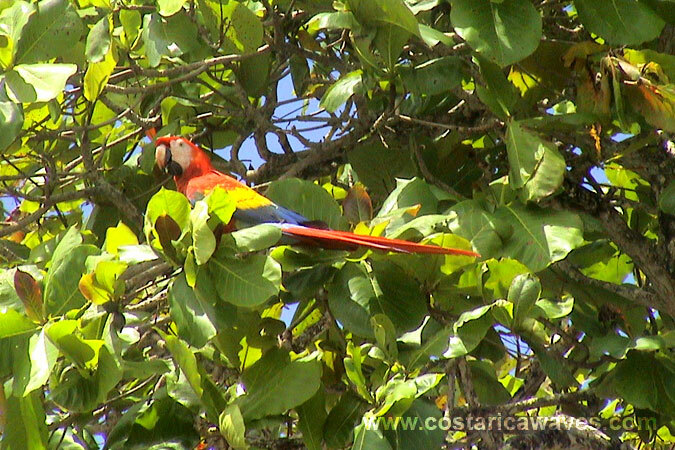 There are some almond trees that are frequented by red scarlet macaws. 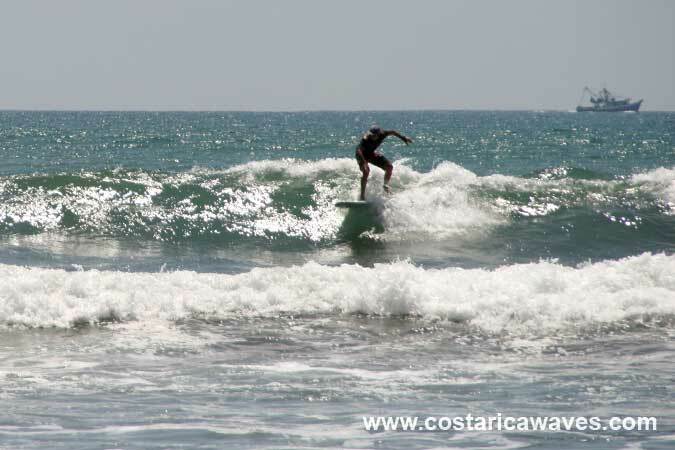 Surfer on a minimalibu in Esterillos Oeste. 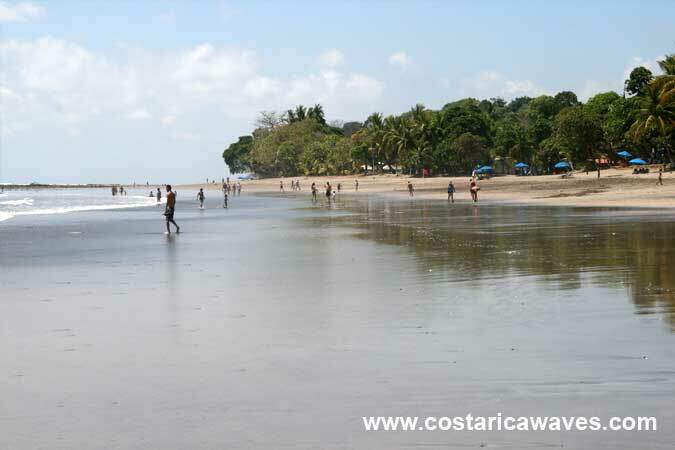 The beach of Esterillos Oeste. 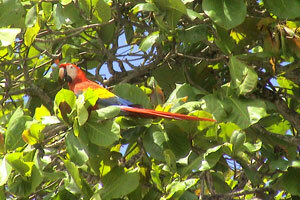 Scarlet macaws come to the beach in Esterillos Oeste. 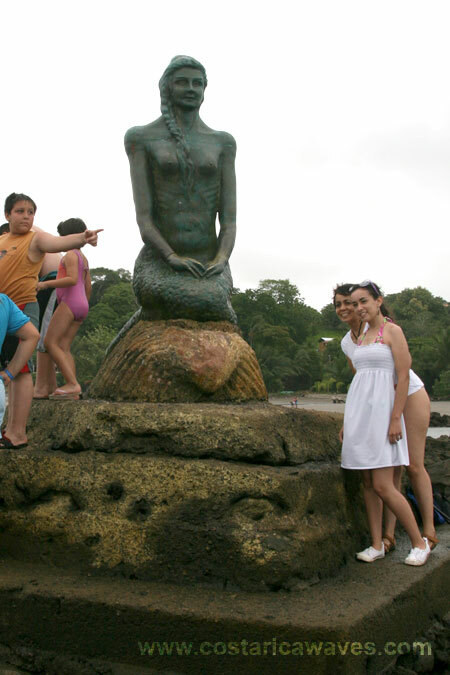 The mermaid, sirena, at Esterillos Oeste. At low tide it is possible to walk over the rocks to the statue. 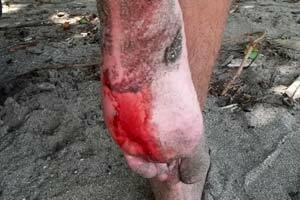 Rays hide in the sand, if you step on them it can result in an injury like this. Do the stingray shuffle to avoid stings, slide your feet along the sand instead of taking steps.